Beer has traditionally been sold in glass bottles, and this holds true even in our time. Even though some producers do offer beer in plastic bottles, most consumers still prefer to enjoy their beer the old fashion way – from a glass bottle or directly from the tap. 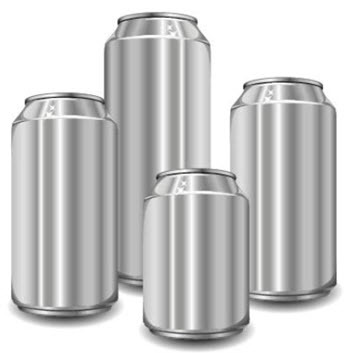 In situations where glass or tap isn’t feasible, the aluminium can is favoured over plastic containers. 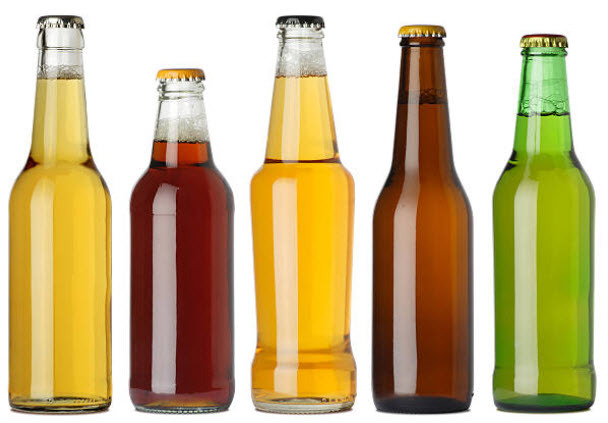 Glass beer bottles come in many sizes and shapes, and are often coloured (usually green or brown) to protect the beer from light that could increase its speed of degradation. Especially ultraviolet light can be very detrimental to beer. Beer bottles in the UK used to be refillable, but this changed in the 1980s and most beer bottles are now intended for single-use only. Once a bottle has been used, it can be recycled and used for making new beer bottles. Most beer bottles in the UK are 330 ml or 500 ml (half a litre). From the mid 20th century, there was a strong trend in the UK where large number of brewers utilised the London Brewer’s Standard for beer bottles. By sticking to the standard, automated bottling became easier, and the re-use of beer bottles also became more efficient. In the 1980s, the deposit charge for a bottle was 7 pence for a pint and 5 pence for a half-pint. The most common sizes were the pint (568 ml) and the half-pint (284 ml), but big quart bottles (2 pints) and small nip bottles (1/3 pint) were also available.Nip bottles were especially popular for barley wines, while the Midlands region of England – where brewery’s such as Shipstone of Nottingham were located – remained a stronghold for the quart bottle. Some brewers elected to keep using their own distinguishing bottle designs instead of opting for the London Brewer’s Standard. Scottish and Newcastle did for instance use a clear bottle for their Newcastle Brown Ale, and the brewer’s Timothy Taylor and Samuel Smith both sported embossed bottles for their respective product lines. 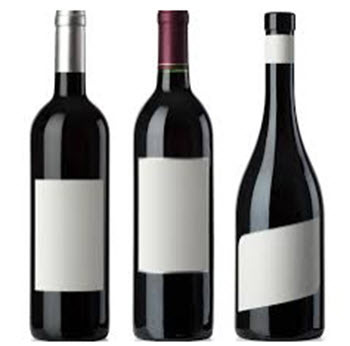 The Industry Standard Bottle (ISB) is also known as the Standard Longneck Bottle or North American Longneck. In the United States, the Standard Longneck Bottle contains 12.0 U.S. fluid ounces, which equals 355 ml. In the United States, the Large Beer Bottle contains 22 U.S. fluid ounces, which is slightly more than 650 ml. This bottle type is affectionately known as a “bomber”. The 40 U.S. fluid ounce bottle (1,2 litres), commonly known as the “forty”, is chiefly used for cheap beer and malt liquor. In the U.S, the growler is a jug used for draft beer. It is typically sold at breweries and brewpubs to costumers who wish to buy craft draft beer and take with them. The U.S. growler contains half a gallon (64 U.S. fluid ounces / nearly 1893 ml) and is made from glass, ceramic or stainless steel. The Howler / Growlette is a smaller version of the Growler. It holds half a growler, i.e. 32 U.S. fluid ounces. In the United States, small beer bottles are commonly known as ponies. Normally, they contain 7 U.S. fluid ounces. The name pony alludes to their diminutive size. Examples of brands offering pony sized beer are Rolling Rock and Miller High Life. Coors, Miller and Budweiser offer pony bottles regionally.